This marked the first year I was able to attend the Western Hunting and Conservation Expo held in Salt Lake City, Utah. I was reeling with excitement and anticipation in the weeks and days leading up to it and this event did not disappoint this event planner and die hard outdoors woman. With over 560 exhibitors set up in the exhibit hall, there was not a shortage of things to do, people to meet and gear to test. 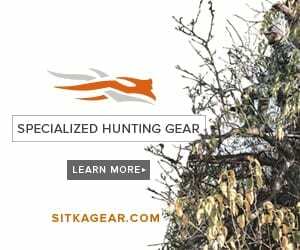 As a DIY female hunter, I am always on the “hunt” for gear that is designed both, technically and functionally, for women or gear that would be useful to me on a solo hunt. In addition to high quality gear that will not fail me in the field, I also look very closely customer service and the support the company gives to the industry. After making several laps around the exhibit hall, there were a few products and companies that caught my attention and my wallet.